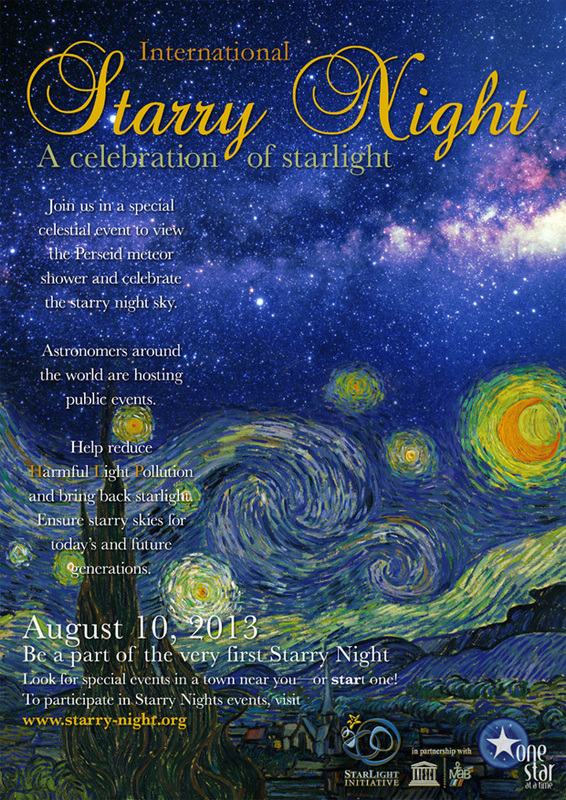 UPDATE: 28 July 2013 – The International Starry Night page for the Baltimore Woods event can be found @ THIS LINK. Check cnyo.org on the 12th (and 13th) for final event details. Please register for this event! Low registration may cause programs to be canceled. Bob Piekiel, Baltimore Woods, and CNYO are pleased to be hosting a local session for the “International Starry Night,” (herein referred to as “ISN”) an event organized by the “One Star at a Time” Program. 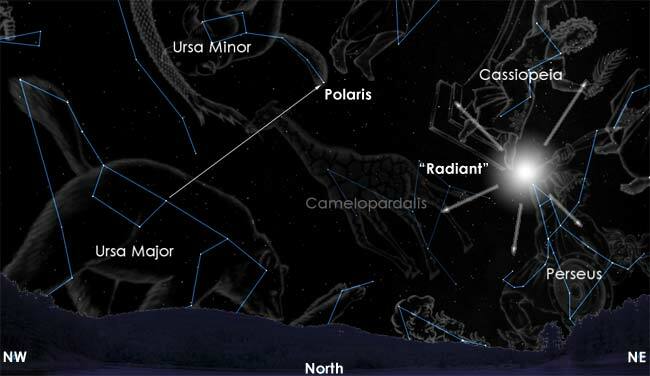 While the official ISN night is scheduled for Saturday, August 10th, ISN-related events are being scheduled throughout the days around the Perseid Meteor Shower, and we have opted to host this event during the peak nights of the Perseids. 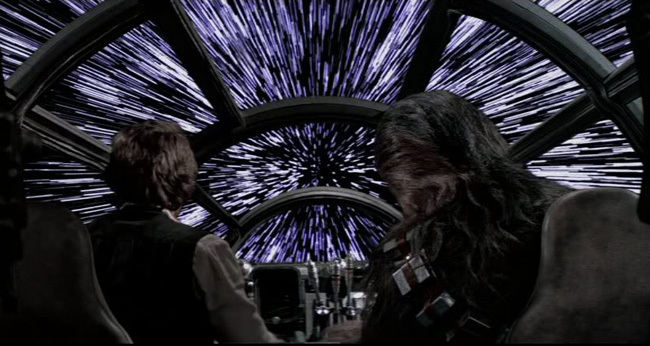 Dedicated amateur astronomers cannot be bothered with such trivialities as their mental states at work on Tuesday (or weather-alternate Wednesday) mornings! Click on the image for a full-sized version (8 MB). The “One Star at a Time” program is a worldwide effort to create accessible public spaces to view a starry night sky. The program uses night sky conservation to unite people across the planet, their cultures and their skies. This is a story of how people from around the world united together to give the gift of natural starlight for all children of this planet. A National Parks Service study predicts that unless we can significantly reduce light pollution, by 2025 only 10% of people in the United States will EVER see a starry night sky in their LIFETIME. Similar concerns are coming from all around the world. “One Star at a Time, Reclaim the starry night sky” is a campaign to engage and unite the public on a global scale to reduce light pollution so that we may reconnect with the stars and each other. The motto of Astronomers Without Borders is “One People*One Sky”. If we can unveil the inspirational night sky we share with all people of this planet, and share experiences and explorations of the cosmos together, we may regain steps toward peace… the greatest gift we could ever give to our children. Overcast skies and light pollution are THE biggest problems facing amateur astronomy. Unlike the weather conditions, light pollution is a problem that CAN be addressed through legislation and education. International organizations, such as the International Dark-Sky Association, and local groups that lobby for proper lighting legislation, such as SELENE-NY (selene-ny.org), have been pushing for years to educate the public on the potential health risks of light pollution, the importance of dark nights for other species, the best choices of lighting fixtures that help reduce light pollution, and the obvious cost benefits that come from lighting ONLY places that need lighting with ONLY the amount of lighting that is required. Observers throughout CNY have noticed the increase in light pollution from many familiar observing locations – including Darling Hill Observatory, Beaver Lake Nature Center, and Baltimore Woods. The problem is one of engagement – if more people, organizations, municipalities, and companies know how to illuminate the night in keeping with pro-dark sky practices, light pollution could be greatly reduced. Imagine how much more observing could be done if the sky near our horizons were that much darker! 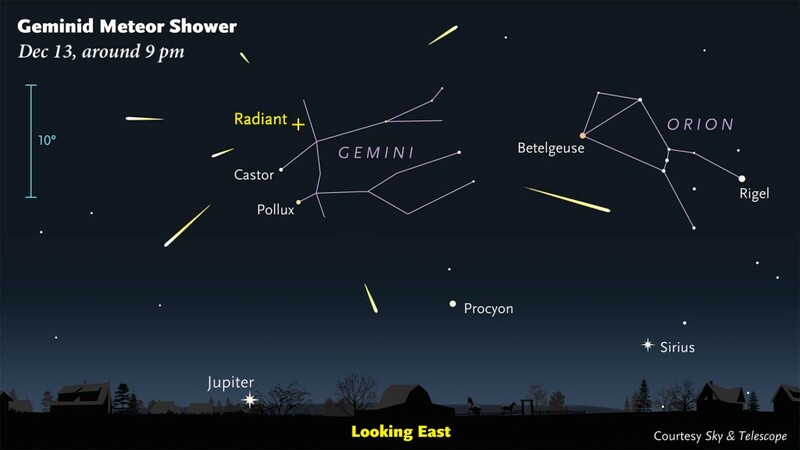 The issue of light pollution aside, the Perseids and the Leonids often tie for the best meteor showers of the year, with the Perseids benefiting from their appearance in the mid-Summer nighttime sky. The International Starry Night event will find groups around the planet observing the Perseids together (provided the nighttime sky remains clear). And, as an added bonus, the Perseids coincide with the tail end of the Delta Aquarids, a much smaller meteor shower that is more prominent at Southern Latitudes. But we will take any additional shooting stars we can! But wait, there’s more! The Perseids peak during a Waxing Crescent Moon, meaning the Moon will have set before or near 10:00 p.m. for all five reasonable observing nights (August 10th – 14th). Attendees will have Saturn and the Moon to observe in early-evening skies, then intrepid observers will have Neptune, Uranus, and a host of deep-sky objects to find and observe for the rest of the night. The week around the August 12th peak is a busy one for CNYO members. CNYO will also be hosting a lecture and observing session on August 8th (on the 15th as a weather-alternate) at Beaver Lake Nature Center. Maybe a few decent shooting stars on the 8th will hint at a busy Perseid peak on the 10th-12th. We will keep you posted!